After receiving backlash over comments made during a nomination announcement, Cardston-Taber-Warner MLA Grant Hunter has apologized. Following a Feb. 26 announcement confirming his intention to seek the UCP nomination for the new Taber-Warner riding, Hunter has come under fire for a comparison between the NDP’s 2015 election victory and the 2004 southeast Asian tsunami. 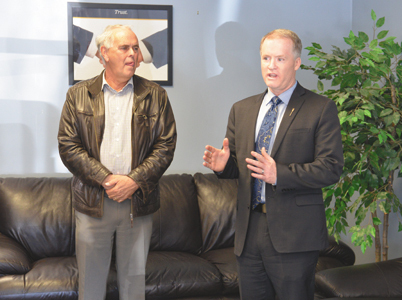 Hunter’s initial comments were paraphrased in the original article, “Hunter announces UCP candidacy for new riding”, which was published in the Feb. 28 edition of The Taber Times.